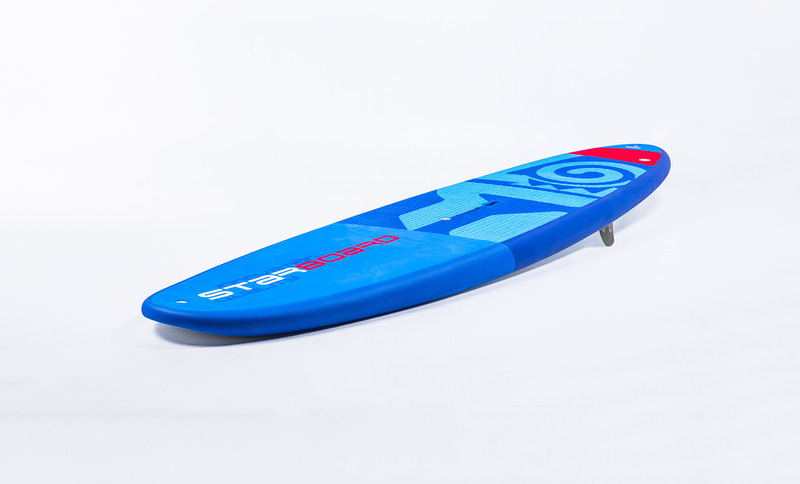 The SUP Windsurfing range offers a great choice for sharing windsurfing and paddle boarding with friends and family. They glide with ease, very different from anything we have offered in the past. Starboard brought home 11 out of 12 PWA constructor titles over the last 12 years and we love getting more people into windpowered fun. for greater lift over chop when windsurfing. towards the nose of the board ensures full traction when tacking, walking around the mast to change direction. 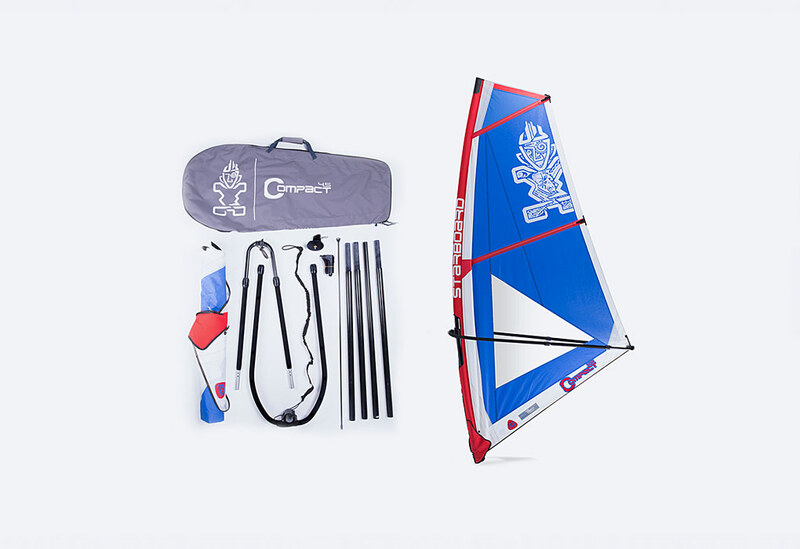 The GO SUP Windsurfing technology features 2 side fin boxes positioned forward for great upwind control. 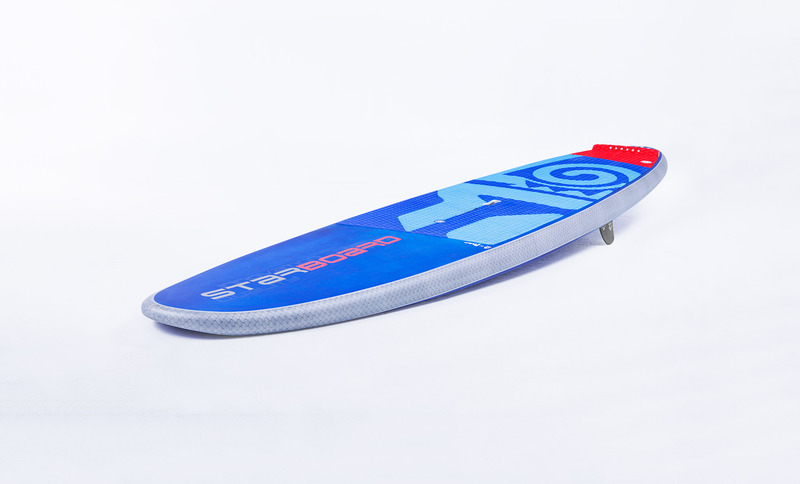 The new deeper Sail Fins with an extra wide base and thick profile provide great upwind tracking. When reaching the fins lift only a little bit and makes the board hover over the water with an exciting and pleasant feel. It’s a true gem and a great way to explore windsurfing. – Impact resistant high-density EVA wrapping the whole rail from nose to tail. – Multiple layers of high-grade fiberglass are wetted out in epoxy resin wrapping the hull.